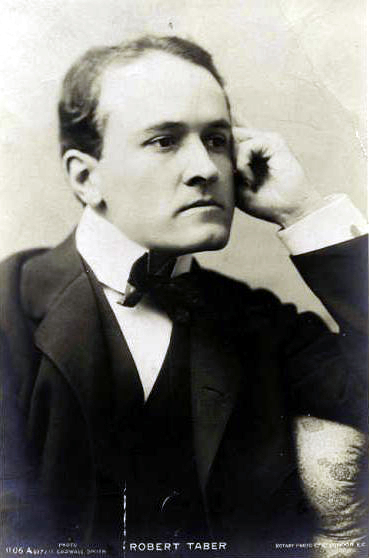 Taber, Robert Schell (1865-1904): Born 1865 in New York, his first professional engagement was in 1886 as Silvius in As You Like It with the theatrical company of Helena Modjeska. In 1888, he joined Julia Marlowe’s company. They subsequently married but divorced in 1900. Appearing in the 1899-1900 season at the Adelphi, he played Viscount Dundee in Bonnie Dundee and Marcus Vinicius in Quo Vadis. He died, destitute, four years later from pleurisy.